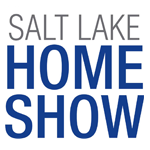 This weekend, I'll be speaking and signing books at the Salt Lake Home Show. It's being held at the South Towne Expo Center. I'll be on the design stage both Friday and Saturday evening at 8 pm. If you're a Utah local and you find yourself at the home show, I'd love it if you'd stop by and say "hi"! Then next Monday, I'll be filming a segment for Studio 5. I'll let you know when it's going to air, and I'll make sure to post a link to the segment here on the blog in case you want to see it. If you are interested in all my "exciting" behind the scenes and up-to-the-minute goings-on, make sure you follow me on Instagram!